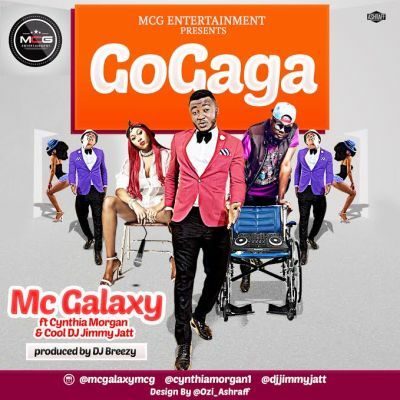 Mc Galaxy aka the king of New Dance in Africa is back bigger and better with a killer collaboration featuring Africa’s Number 1 Dj Cool DJ Jimmy Jatt and the German Juice Crooner Cynthia Morgan in a song tittled GOGAGA . The Humble and Multitalented Artist who just bagged 2 Nea Award Nomination for the Best stage / live performer and the Indigenous artist of the year is about to take his musical career to another level by introducing new sounds, dance steps and amazing plans big collaborations across Africa before the year runs out. The new single GOGAGA is produced by one of Ghana’s hottest producer DJ Breezy.